A BRAZEN teen who stole $3000 from an 88-year-old man on a busy Bundaberg street while high on drugs has escaped jail time. 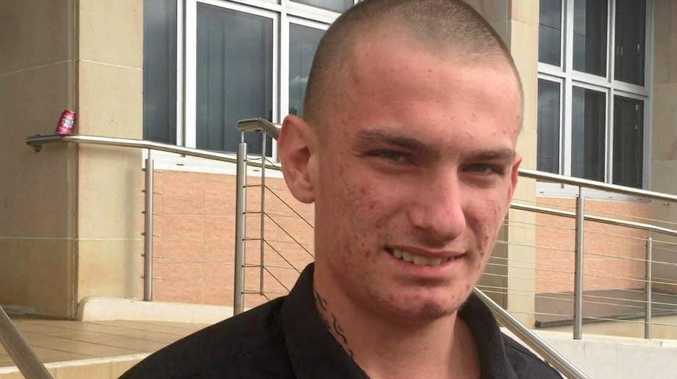 Kahlym John Phillips, 17, was released on probation and faced the media outside the Bundaberg Magistrates Court today apologising to his victim Peter Young. Kahlym John Phillips: Kahlym John Phillips outside the Bundaberg Courthouse apologising to his victim Peter Young via the media. "I apologise to the old man for doing what I done," he said. On Wednesday, May 3, Mr Young was at the Bank of Queensland withdrawing $3000, which was placed into an envelope by a member of staff. 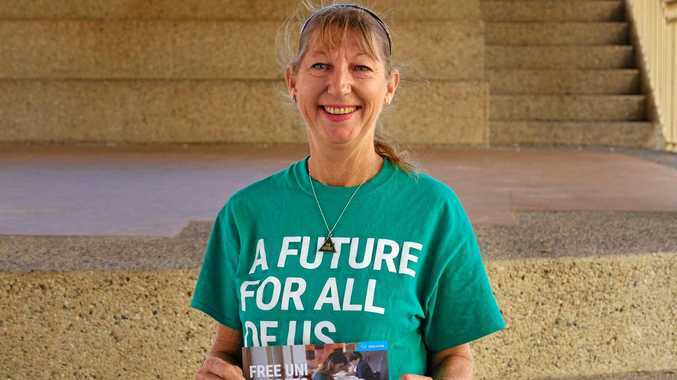 Phillips waited for his victim to leave the bank then followed him out and ripped the envelope from Mr Young's hand in an act Magistrate Belinda Merrin described as "reprehensible". Ms Merrin said Phillips had preyed on the man's physical vulnerability. "Senior members of our community deserve to feel safe on the streets," she said. 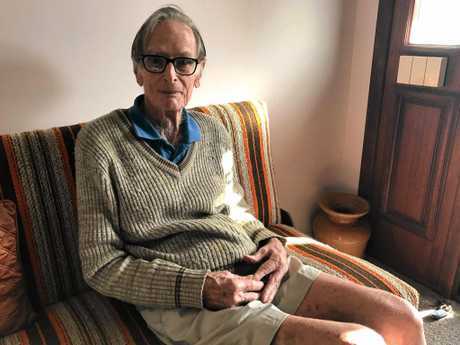 VICTIM: Peter Young at home after the incident. The court was told Phillips blew the money on drugs, alcohol and "other expenditures" in a two-day splurge. Defence lawyer Lavonda Maloy had previously told the court Phillips had shown remorse for the crime, saying he had described it as an "opportunistic matter" and that he had a "mind snap". "He was under the influence of illicit substances at the time of the offence," Mrs Maloy said. Ms Merrin said she took into account Phillips' age, his co-operation with police, his early guilty plea and lack of criminal history. Phillips was sentenced to 100 hours of community service and must pay $3000 in compensation to Mr Young. The debt was referred to SPER. He must also be under supervision of a corrective services officer for two years and undergo counselling. "You now have in your control whether or not you remain without a conviction," she said.